Maybe a little late, but I ordered the Casio Classpad fx-400. I got warm to using stylus again after playing Super Mario Maker. Using the stylus kind of makes me wish that I could use a stylus with the HP Prime and my iPod Touch. 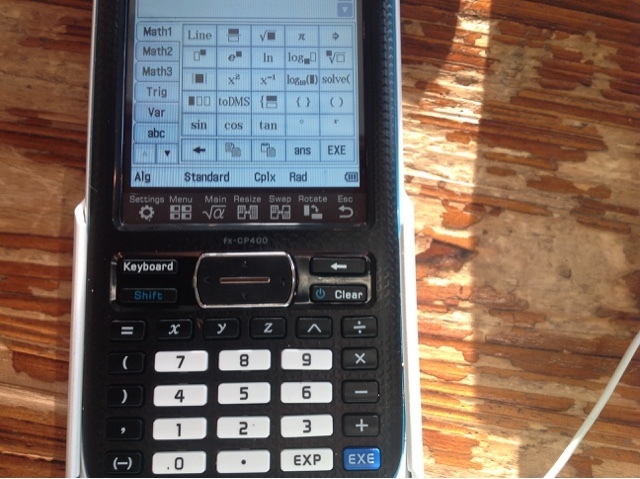 The Classpad II (fx-CP400) is an update to the Classpad 330. The color, backlit screen is a great upgrade to the Classpad, which previously had a monochrome screen. 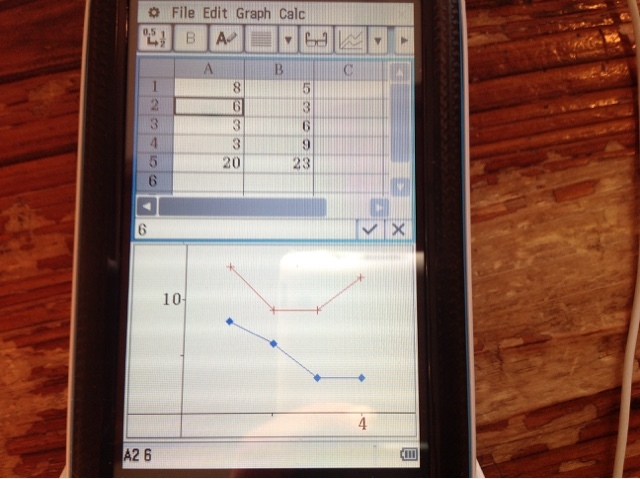 The characters and graphs are nice and crisp. 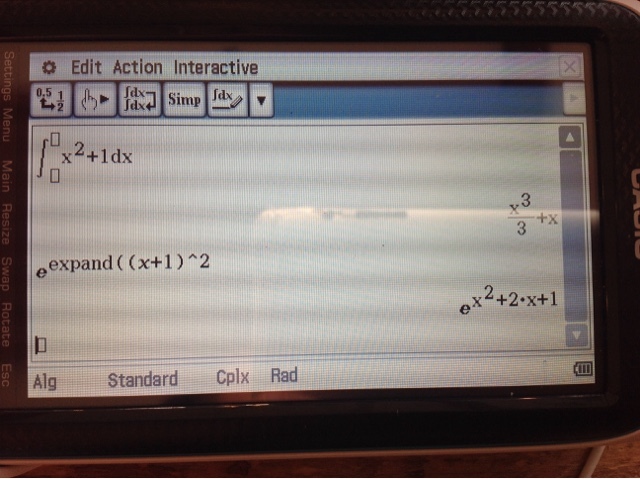 Like the previous Classpads, the Classpad II has CAS (computer algebra system). New to the Classpad II is the ability to rotate the screen horizontally and vertically. To do so, tap the Rotate button. The screen does not rotate automatically. I like the physical keyboard. The keys are responsive the font colors on the most part, are appropriate. 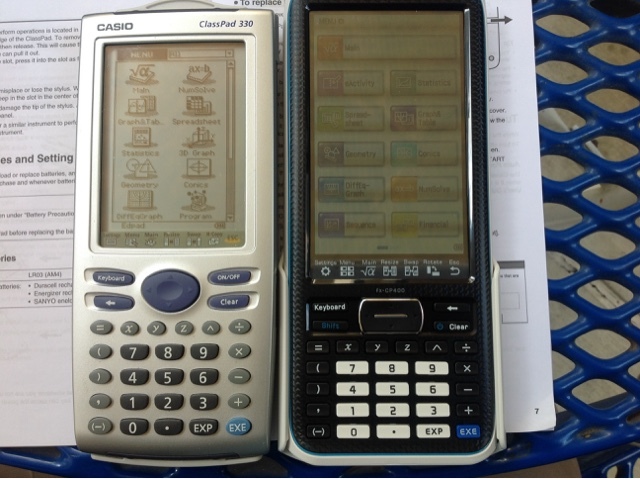 Casio could have made the Shift cyan instead of navy blue. I would not have mind the keyboard having the basic scientific functions on it (sin, cos, tan, e^x, ln, etc.). Needless to say, you will be using the virtual keyboard a lot. Thankfully, the virtual keyboard is bigger and much easier to use than the 330. The manual is divided into two parts: the main manual and a manual of examples. After playing with the Classpad for a short time, I find the manual of examples to be helpful. 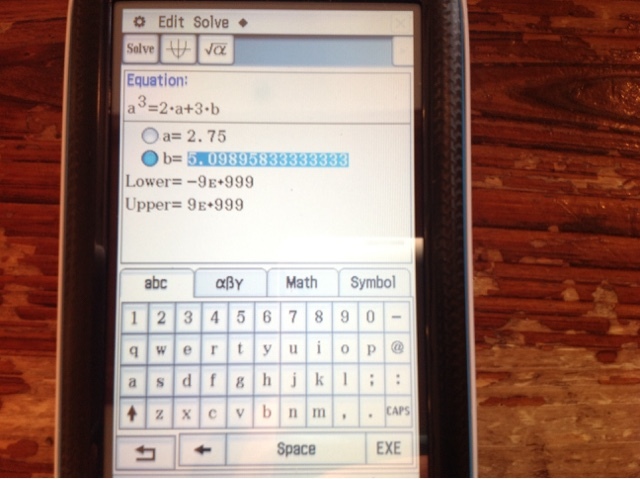 What impresses me about the Classpad is that you can select equations by the stylus. You can execute algebra and CAS commands, drag them to the graph screen, and drag them to the graph database. 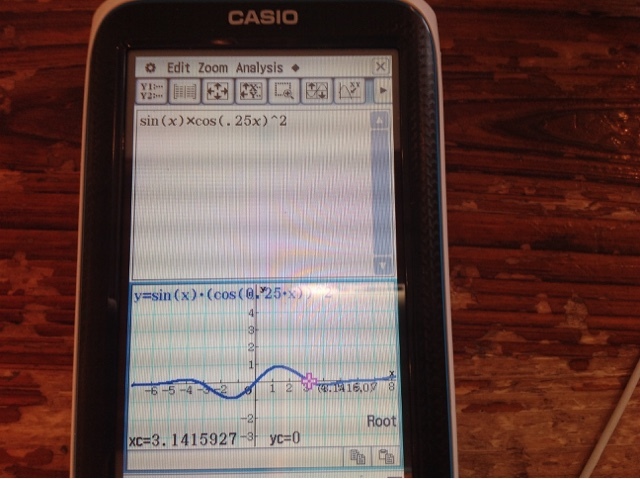 The variables are universal and the Apps are seemingly integrated, at least better integrated than the other Casio graphing calculators. Features include spreadsheets, which seems to work really well, sequence plotting, differential equation plotting, and financial calculations. Below are some additional screen shots. Curses, it looked so intriguing I raided the slush fund and got one. It is a very different interface and I'm liking it the more I use it. I need another calculator like a hole in the head. I feel a similar way (needing another calculator like a hole in my head) when growing my calculator collection.